Daniel Morgan's efforts at the Battle of Cowpens displayed a remarkable performance of military leadership that must rank among America’s finest. At last, students of American military history have recently been accorded some measure of respect to the tactical genius of Daniel Morgan. While surely benefiting from the stellar subordinate trio of John Edgar Howard, William Washington, and Andrew Pickens, and confronting an overconfident, rash, and impatient Tarleton, Morgan nevertheless controlled the whole. He made the decision of when and where to fight, drew up the plans of engagement, positioned the lines of battle, and carefully committed his troops according to that plan. He steadied his lines with his constant encouragement and continual visible presence as he rode all three lines reassuring his backwoods soldiers. He allowed his subordinates to conduct their portion of the battle under his watchful eye. And he masterfully and intuitively adjusted his battle plans when threatened by the breakthrough of his opponent’s shock troops. By all standards of war, his actions precipitated a tactical masterpiece. Remarkably, without even the rudiments of education, self-trained while persisting on the very margins of civilization, ignorant of the military sciences, and without access to military texts or even the tutelage of an accomplished soldier, Daniel Morgan somehow developed military skills of a superior level. His ability to maintain a cool temperament in a crisis was probably acquired in skirmishes with Indians, and this attribute was critical to his success. 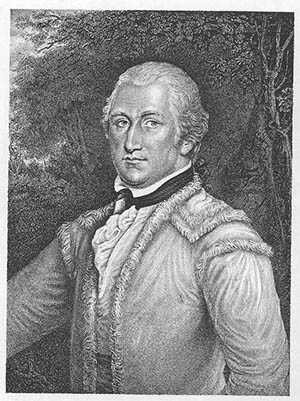 William Washington, who also experienced much heavy action in the Southern theater of combat, pronounced Daniel Morgan the coolest man he ever saw under the duress of combat. Using that trait, coupled with an innovative mind that approached problems logically and without bias, Morgan planned the Battle of Cowpens in a manner that he understood and could explain clearly to his followers, based on his personal life experiences and observations. When this native ability to tactically plan a “fight” was merged with his easily identifiable qualities of frontier leadership in managing that fight, then a captain for the ages was produced. Morgan was a product of that cutting-edge of the frontier where the Southern social hierarchy was fluid, mobile, and expansive. Little value was placed on wealth and rank as in earlier societies. Leaders were physically tough, shrewd, fearless men who could outfight, outdrink, and outgamble their contemporaries and were not averse to betting their lives when necessary. It was not the lettered man who could debate a point or explain a principle who emerged but rather that tough, physical man who feared no one and felt no one alive could “whip” him. Thus a new kind of democratic leader arose, far removed from the aristocracy of the Virginia tidewater or the South Carolina low country. Daniel Morgan attained the upper levels of this emerging frontier aristocracy and initiated the projection of the frontier leader onto the stage of national awareness, preceding later examples such as Andrew Jackson, Sam Houston, and Abraham Lincoln. Morgan’s fiery temper was legendary and his confrontations with those whom he deemed had wronged him fearful to behold. Both within the army and without, “Old Morgan” was not a man to cross. As late as 1794 when called out by Governor Lee to lead Virginia troops in subduing the Whiskey Rebellion, Morgan solved a problem of overcharging by a tavern keeper quickly and directly—he “broke the mouth” of the offending merchant. Morgan was almost 60. Morgan seldom spoke at councils of war, either when summoned by Arnold on the weary trek to Quebec or by Horatio Gates before Saratoga’s fateful assaults. He may have felt his opinion would be of little value to men of such superior social and educational status, but more likely deemed himself too inarticulate to express his viewpoint in a genteel manner. For his natural expression was loud, profane, and overpowering. But he proved beyond question at Cowpens that, given a set of circumstances and left to his own resources, somewhere in that quick mind he had mastered the tactical art of war. His uncanny ability to communicate with the common soldier further enhanced Morgan as a military captain to be followed and obeyed by individualistic men who respected few authorities. Morgan possessed that unusual ability to mix freely with common soldiers using nicknames in a familiar context, yet without endangering the respect necessary for command. He drew from these highly independent men a concerted performance unequalled by any other American revolutionary leader and by few of any era. There is little to suggest that Daniel Morgan was loved, adored, or worshiped by his followers. His exterior was too coarse, too confrontational, too demanding. But he was respected, perhaps feared, and consciously obeyed. John Henry, who wrote of the terrible march to Quebec, describes Morgan’s manner with his men: “His manners were of the severest cast; but where he became attached he was kind and truly affectionate…. Activity, spirit, and courage in a soldier procured his good will and esteem.” Morgan the man seemed bigger than life in an era of men who dominated their particular time and place. Tags Abraham Lincoln, American Revolution, Andrew Pickens, Battle of Cowpens, General Daniel Morgan, John Edgar Howard, South Carolina, William Washington.